Stacy Horn » Blog Archive » I bought a cupcake. For Obama. I bought a cupcake. For Obama. In 1875, nearing forty, Saint-Saëns married Marie Laure Emile Truffot, who was just 19. They had two sons, both of whom died in 1878, within six weeks of each other, one from an illness, the other upon falling out of a fourth-story window. For the latter death Saint-Saëns blamed his wife, and when they went on vacation together in 1881 he simply disappeared one day. A separation order was enacted, but they never divorced. I wonder whatever happened to Marie Laure Emile Truffot. Googling turns up that same small piece of information over and over. According to one French genealogy site, she died in 1950 having never married again. Well, I guess she couldn’t if they never divorced. How sad for the both of them. He took three years to disappear one day. It makes me think they tried to get past it. But it’s hard to get over the death of a child, never mind two within six weeks of each other. What was the rest of Marie’s life like? Did she have friends and lovers? Did she blame herself for her second child’s death for the rest of her life, too? Surely someone has written about her. Oh here’s something interesting about Saint-Saëns. Apparently, he “called for a suppression of all German music during World War I.” Coincidentally, in my book I have a small section about a similar movement in America during WWII, and I belittle the attempt. Interesting that a French composer tried to do the same thing. 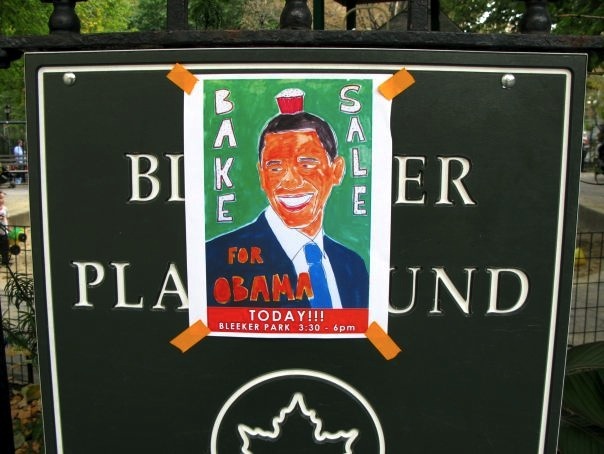 There was a bake sale in the Bleecker Street playground the other day, and of course I had to buy a cupcake. I’m going to tell Bleeck (my new kitten) that the playground and the street are named in his honor, for he is the most fabulous new kitten in the West Village. It was probably WW I, since he died in 1921. That’s the same time we were calling sauerkraut Liberty cabbage, and people were throwing stones at dachshunds. People can get really crazy. Oh yes, definitely WWI, I will correct, thanks for pointing that out! I only know Saint-Saens from the one song on the Barbra Streisand album, Classical Barbra. I would listen to it over and over (on cassette) when I was in the Peace Corps, 1980 – 1982, in West Africa, which I loathed for the most part. But that one song — oh! It was beautiful! And I’ve never thought to investigate beyond Classical Barbra…and his story is so sad. And Madame Saint-Saen…so sad. Now I’ll be googling Saint-Saens the rest of Sunday evening. I just read the French Wikipedia about Saint Saens. : Saint-Saëns montre peu d’intérêt pour son épouse. Certaines sources prétendent que son mariage était plus une contrainte sociale qu’un réel désir. Sa femme lui donne deux enfants, deux garçons, qui meurent tous deux en 1878, l’un d’une chute et l’autre de maladie. Le couple se déchire et le compositeur se sépare de sa femme, après quoi il commence à vivre son homosexualité dans la discrétion. Saint-Saens never showed much interest in his wife. Certain sources say it was a marrage of convenience rather than one of mutual desire. His wife gave him two children, boys, who both died in 1878, one from accident and one from illness. The couple was torn apart and the composer separated from his wife, after which he commenced living his homosexual life without discretion. Well, how inconsiderate not to grant her a divorce then. Poor Marie!! Thank you for finding that. No divorce in Catholic France back then. It was a no-win for everyone. How sad.